Whoo loves you? I do! Today's fast card was cut using the Close to My Heart Artbooking Cricut cartridge! I also used the "hide selected contour feature" to make backgrounds for the owl and the word bubble. Here is a video on using "Hide Selected Contour" in the Cricut Craft Room. I love all the different frames on this cartridge - perfect for making cards. Or for photos on a scrapbook page, of course. And there are close to 150 of them on this cartridge! I am still tired from my trip to Salt Lake City, where I got to see the new Cricut Explore machine. It was a whirlwind two days - but a lot of fun! More info and video will be coming up over the next week. Earlier, the news was that you had to pay the $9.99 monthly subscription fee if you wanted to cut .SVG files (like the kind Lettering Delights or SVGcuts sell). Now, it looks like those .SVG files can be cut for free! This is HUGE NEWS! 1) Leave a comment below - Cutesy or elegant cards? Which would you like to see more of? Adorable card! While I love seeing both kinds of cards, I am a cutesy kind of gal. I havent made anything in such a long time, I need to get back into it and your blog always inspires me! this owl card is cute!! I'd like to see more elegant type cards. I am usually a "cutesy" type card/scrapbooker, but it's always nice to change every now and then. I have been really watching this artbooking cartridge!! I prefer cutesy cards to send out to my nephews and nieces, but I always ooh and aha over all the stuff you create, so thanks so much for sharing! I like both kinds of cards--cutsey for the kids and elegant for the adults. Keep them both coming!!!! Cute. I like Cute cards more. Like the wiggle eyes. Though I like both style cards, I think I gravitate towards the cutesy cards more! I love, love, love that flower. I can't wait to see more. Your card is soooo adorable. Thanks for sharing. Would be great to see some elegant style cards. I tend to need more inspiration in that area. Your cards are always so wonderful. Thanks for sharing your gift of creativity! I love that owl so cute! I love both but you can never go wrong with Cutesy! Hi, I love that you clarified that the new explorer bug will cut uploaded images for free!!!! Depends on the occasion. I love cute cards for birthdays and elegant cards for milestone anniversaries and weddings. Love you in that cool hat, Joy! I like a combination of cute and elegant cards. Rest up from your busy trip! I think I would prefer more elegant cards, though I like cutesy also. I'm more into the elegant cards - but all of yours are nice, so just keep them coming and we will all be thrilled. This really a hard one but the little owl stoled my heart,I am going with cute. I love the elegant cards however I have lots of children I make cards for so I tend to make the cutesy cards most. I'm interested in some elegant cards. no kids so I don't do a lot of cute stuff really looking forward to a video on the explore really soon I hope. Before the launch please. how does it handle the CTMH cartridges in the new software? I loved your cute owl card with his googly eyes! Your videos are so helpful, thanks. I think I prefer elegant cards, but your little owl was cute, so either is fine. Cute card! And thanks for the update about the Cricut Explore. I would enjoy a mix of cutesy and elegant cards. Thanks for all the inspiration! I probably make more elegant cards but I love to see a mix of ideas. You inspire me to try new things. Wow--love the leather flower. 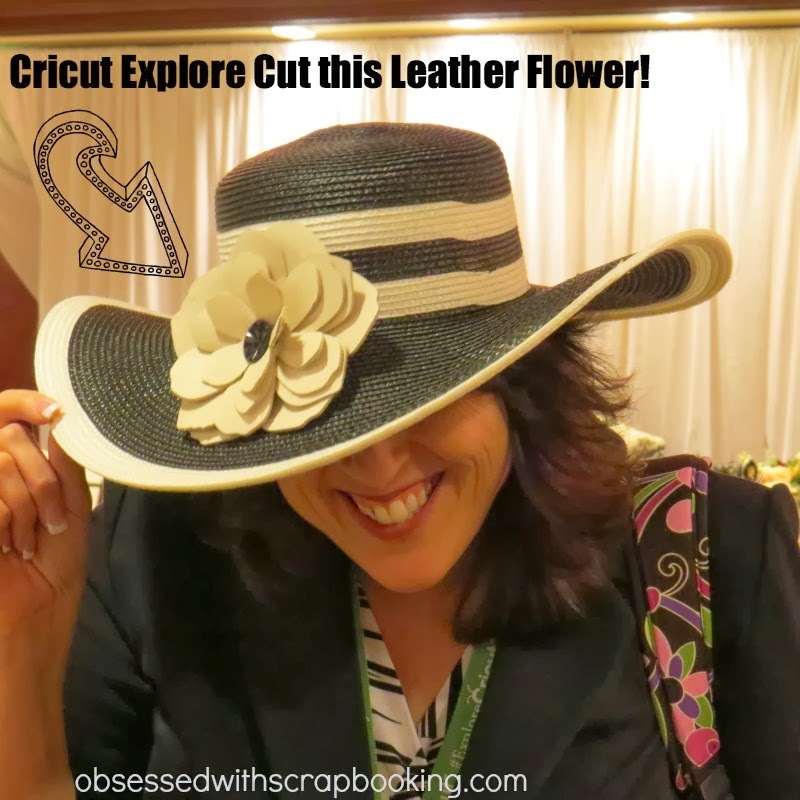 I love that leather flower! Unfortunately, I know nothing about SVG files or how to use them. I prefer elegant cards. Elaine S.
Very cute card and your flower is awesome! I would like to see some more elegant cards because I tend to do the cutesy ones most of the time. I would love to see some of your ideas for more elegant cards because you always inspire me (and thank you for that!). I love this card!!!!! I am going to make a masculine version of this!!!! I love it!!! I would love to see more masculine/elegant cards. I hope that makes sense. I prefer elegant cards, but love your work no matter what. I like the cute cards for my grandkids but prefer elegant cards for most other uses. I do like to make wholesomely humorous adult cards now and then, as well, to try to bring a smile to someone's face. So all this is to say, I'd love to see a mix of card styles from you. You do them all so well! Actually, I like both the cutesy and the elegant cards. That new Cricket Explore is simply amazing! I like cutesy simple quick cards. I don't want to take up much time. I'm usually doing last minute. Hi and good morning. 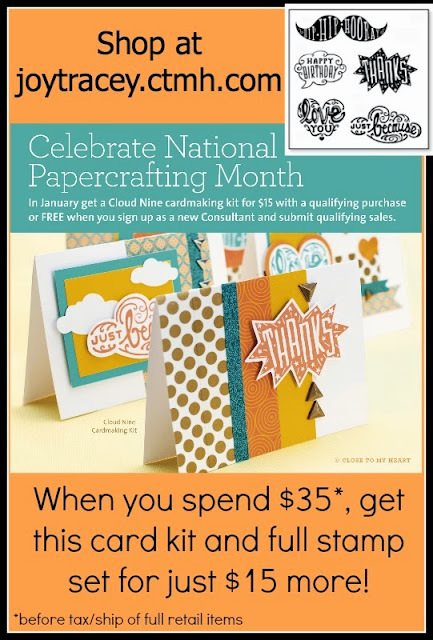 :-) I would like to see and learn how to make the cutsy card that were back in the 1970. I guess for the reason that I say cutsy it seem that I can make a bunch of them and I can give them to the to the whole family from the adult to down to the kids and I don't have to worry if I got them miss up when I send them out to my family. 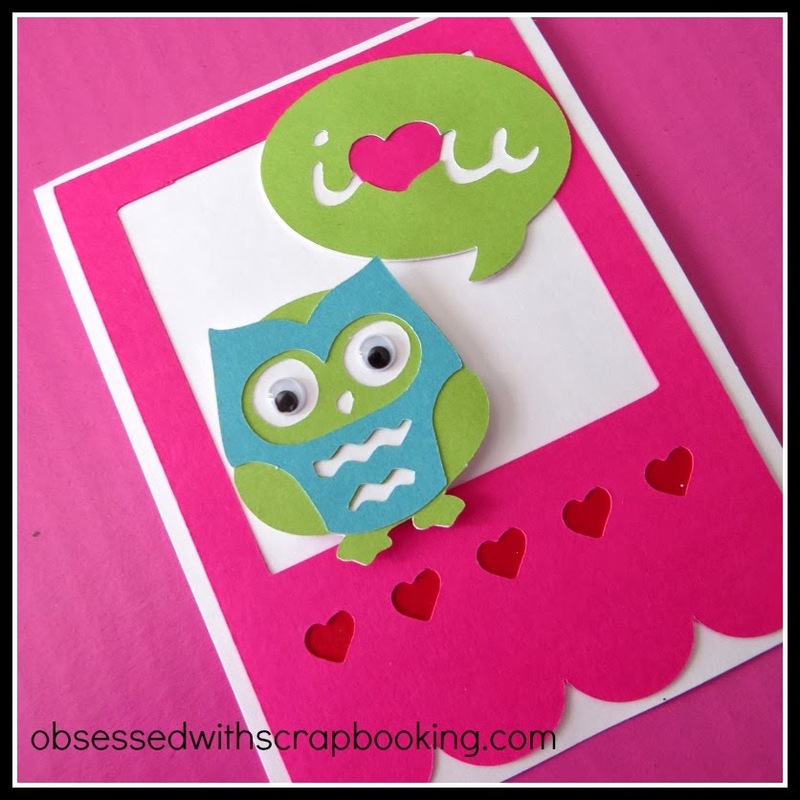 Hi again I forgot to tell you that the owl card was so adorable and I will have to make this for my best friend. Thank you for sharing this card with us. I love elegant cards. I think I prefer to make the cutesy ones. As long as I'm making cards, I'm happy :) Thanks for the chance to win! I really love both! I just like to be inspired to create. Thanks for sharing your adorable Valentine card and for the chance to win! I use more cutesy type cards. That type can go to kids, guys and gals. Where the elegant mostly just goes to ladies. I love everything you do though and always learn from you so just keep doing what you're doing! I make more cutesy type cards. I enjoy making the more elegant cards but don't have as many occasions to use them. Love your card so adorable. OK now I'm needing to look at this Explore a little more !!! You are just so cute and we appreciate all your hard working finding out great information. Thanks!! I love the card. It is a hard choice but I think I like cutesy more. I have been going through my cartridges to find what my treat bags for this valentine might be. An owl may just be the thing. So glad to hear this new news on the Explore. Got to start saving my pennies. I love cute cards but I absolutely love and do more elegant cards. Thanks for sharing the new machine with us! Super cute card. I like both so much but I so seem to do more of the cute cards. I like cutesy cards more. I am so over ALL the cutesy cards even though yours are truly CUTE! I and my friends would love to see more elegant, sophisticated, edgy, contemporary cards....perhaps that's why I am getting tired of Cricut? I love doing cutsy cards, the simpler the better. The faster I can make them the more I can give away. 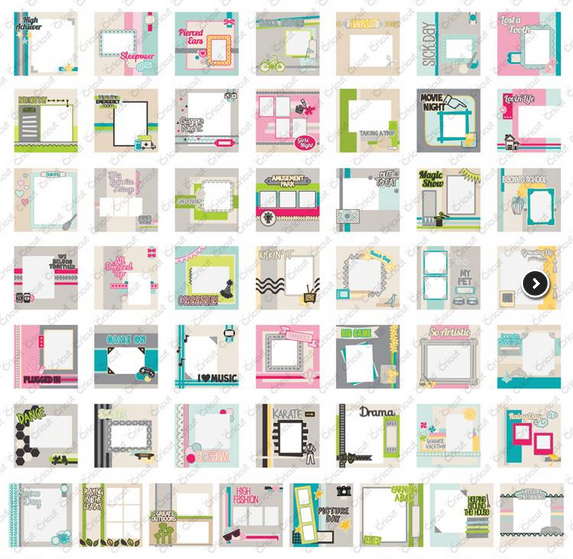 I also use some of the card fronts as accents in my scrapbooking. So cute! Simple is always good! I like cutesy and elegant at times! I like quick and easy tho....seems not a lot in my craft room lately especially this year coming up. We have a lot of family members getting married. So party favors, wedding cards, decorations....trying to get inspired for all the upcoming projects. Thanks for always making things so easy and always sending out video's and great tips! I love all the ideas! Hi! Thanks for the cute owl card! I think I will make it for my 3 year old granddaughter! I like both cutesy and elegant. But I think I tend toward the cutesy more these days since I make cards for my granddaughter (she lives far from here). Thanks again! Oh! 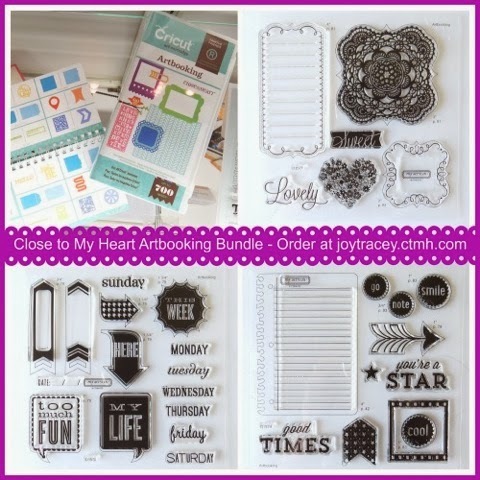 And I forgot to mention what I thought about the new Cricut Explore. I think I will reserve judgement on it until I really get to see it in action. I love both cute and elegant as I make cards for all types and ages of people, and occasions! I think my personal style tends to be elegant, but cute is fun to make! Thank you for all the great ideas and information. BethAnn M.
Thanks for all the Cricut Breaking News and the chance to win this cartridge! I would like more elegant cards; I save the 'cutesy' ones for my grandchildren. I do like the card you just made~I LOVE the Artbooking cartridge; I think I've used it more than any other of my 68+ cartridges!! I would like to see more elegant cards. Cutesy cards are fine but to me the elegant card has more wow power! I like to make elegant cards.....they are so pretty. Thanks for the chance to win! I like the cutesy and elegant cards. I tend to make mostly cutesy cards, because they are simpler. But you are good at making the elegant cards. I can't wait to hear more about the new Cricut machine too!!! I really like elegant cards. I make an ocasional cutesy card but more elegant ones. Thanks for the chance to win! I like the elegant cards a little better but cutesy is good every once in awhile! I think this cartridge would be a great addition to a collection! I think elegant. I do cards by the box full for Operation Write Home and want a little nicer cards if you will. I LOVE your cute ones but I have to go with elegant as they can use them for more things. thanks! I love your site. You are so good at all this. I'm between cutesy and elegant. I make both type of cards. You do such a great job on whatever you create, so just keep them coming. Thank you for sharing. I'm looking forward to what you have to say about the Cricut Explore machine. I like the cutesy cards since I have 13 great grand kids. Thank you for sharing your talent with us. I should say cutesy because of my kids. But I love elegant cards they are my favorite to create. I am impressed by the leather flower also. Thanks for sharing! Would really like to win this cartridge. I think it's 50-50 on the cutesy vs elegant. Thanks. I love elegant cards, and would like to see more of them, but, there are times when you just need a cutesy card. I think it depends on the receiver's personality, and age...maybe mental age. ;-) Anyhow, if you're asking for tutorial suggestions, I say do both...we all love video tutorials. I personally have more use for cutesy cards so my vote is for those! My vote is for more elegant cards. The cutesy ones are fun, but the elegant cards I think are used a lot more than the cutesy. Thanks for the chance to win! I like both however my everyday cards are definitely more cutesy and simple. I only use elegant cards every now and then. I love both types but would like to see more elegant ideas. To win this would mean I could mark it of my bucket list. I find I make elegant cards for adults and cutesy cards for kids. I would prefer to see more elegant ideas. Great card. Thanks so very much for putting the sizes on the book. I would like to see more elegant card ideas but also cards for guys. Oh Joy! Looks like you and Melanie had lots of fun - love the hat! I love all your cards. Sometimes I need cute and sometimes I need elegant. I bet you and Melanie had a blast. How fun. Love the hat. 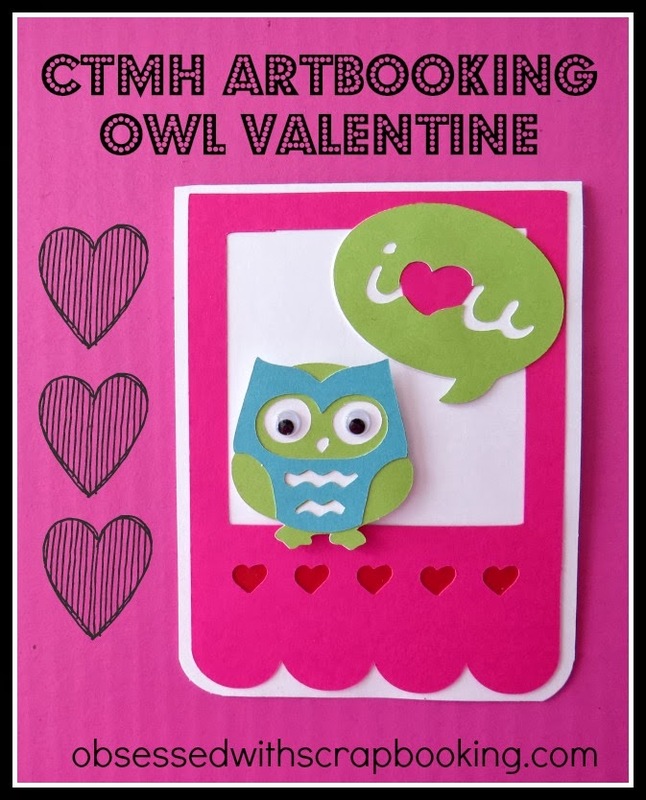 I love that owl on your card. He is so cute. Love the blue and green. Cutesy! And is it possible to do some other cartridges? I don't have either of the two you are spotlighting and can't afford to buy them. Adorable card! I need to work on a valentine for my students. I am split. My wedding and shower cards are elegant, but birthday, get well, and baby shower are more cutesy. Guess I could use inspiration of both types. Love the little owl card. That Artbooking cart is amazing! L-O-V-E the leather flower, BTW!